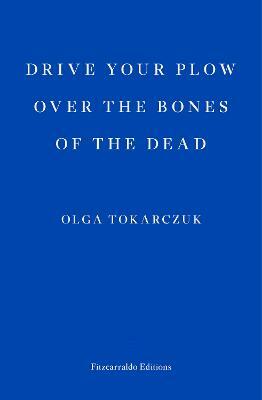 With DRIVE YOUR PLOW OVER THE BONES OF THE DEAD, Man Booker International Prize-winner Olga Tokarczuk returns with a subversive, entertaining noir novel. In a remote Polish village, Janina, an eccentric woman in her sixties, recounts the events surrounding the disappearance of her two dogs. Janina is reclusive, preferring the company of animals to people; she's unconventional, believing in the stars; and she is fond of the poetry of William Blake, from whose work the title of the book is taken. When members of a local hunting club are found murdered, she becomes involved in the investigation. By no means a conventional crime story, this existential thriller by `one of Europe's major humanist writers' (GUARDIAN) offers thought-provoking ideas on our perceptions of madness, injustice against marginalized people, animal rights, the hypocrisy of traditional religion, belief in predestination - and caused a genuine political uproar in Tokarczuk's native Poland. Olga Tokarczuk is one of Poland's best and most beloved authors. Her novel FLIGHTS won the 2018 Man Booker International Prize, in Jennifer Croft's translation. In 2015 she received the Brueckepreis and the prestigious annual literary award from Poland's Ministry of Culture and National Heritage, as well as Poland's highest literary honour, the Nike and the Nike Readers' Prize. Tokarczuk also received a Nike in 2009 for FLIGHTS. She is the author of nine novels, three short story collections and has been translated into a dozen languages. A bizarre, funny, bittersweet riff on the noir genre, Drive Your Plow over the Bones of the Dead might be a more linear novel than Tokarczuk's previous book, Flights, but it's just as packed with ideas and the profound understanding of human nature that we've come to expect from this most innovative of authors. Threaded through with the poetry of William Blake and, for this reader at least, evoking The Birds and, unexpectedly, Miss Marple, Drive is very much its own strange beast. Grappling with the ways in which we interact with the environment and the ways it, in turn, interacts with us, Tokarczuk has produced an environmentalist, vegetarian thriller (yes, you read that correctly) and I love it.